According to Naval Ship Repair Yard Karwar Act Apprentice Notification 2016, 10th with ITI in relevant trade or it’s equivalent qualification from any recognized Board/ Institution with minimum qualifying percentage of marks is the required academic qualification. Candidates must be born between 03.10.1995 to 03.10.2002. Upper age limit relaxation for reserved category aspirants from SC, ST, Pwd, Women and Ex Servicemen will be applicable as per government norms. Selection board of Naval Ship Repair Yard Karwar will shortlist the suitable applicants based on their performance in the Written Examination and Interview. Contenders suggested approach official page to view and download Naval Ship Repair Yard Karwar Act Apprentice Syllabus Exam Pattern 2016. 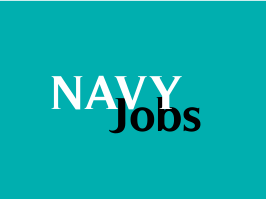 For clear cut information regarding Naval Ship Repair Yard Karwar 67 Act Apprentice Recruitment Notification 2016 refer this blog entry. Pay Scale: Candidates shortlisted for Naval Ship Repair Yard Karwar Recruitment 2016 will get consolidated pay band and all other allowances as per firm rules and regulations. Duly refer official advertisement to get the more detailed information. Qualification: Candidates must have finished 10th with ITI in relevant trade or it’s equivalent qualification from any recognized Board/ Institution with minimum qualifying percentage of marks. Age Limit : Applicants should be Born between 03.10.1995 to 03.10.2002. Upper age limit relaxation for reserved category aspirants from SC, ST, Pwd, Women and Ex Servicemen will be applicable as per government norms. Your application will be rejected if your doesn’t holds the desired age group. The above specified selection rounds will be organized consecutively for shortlist the capable candidates aspirants as per to the rules and regulations of firm. Only qualified contenders in the written test round only forwarded to final selection round. Best performers in the total selection process will be get shortlisted, After the successful finishing of application procedure your must download their Naval Ship Repair Yard Karwar Act Apprentice Exam Hall Ticket 2016 from organization official page which is mandatory for attend the selection. Naval Ship Repair Yard Karwar Act Apprentice Exam Syllabus, Pattern 2016 along with previous and model papers are accessible now at official page. It has been uploaded by the selection board of association for the convenience of the applicants.